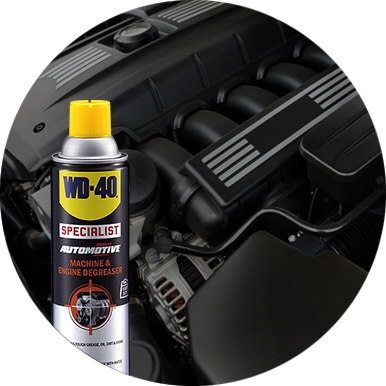 With the new WD-40® Specialist™ Automotive, we give motorheads short cut solutions to power their vehicles for the long run. 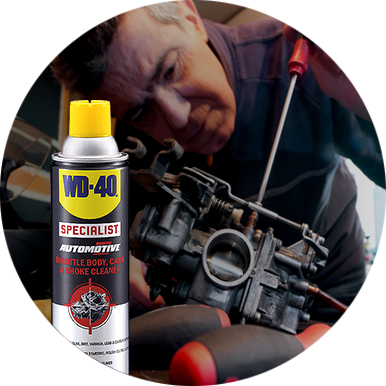 Specially formulated by WD-40 Company, the WD-40® Specialist™ Automotive is a brand new, premium auto care range. This set of cleaners and lubricants are high quality products designed to maximise your vehicle's performance through proper and regular maintenance. 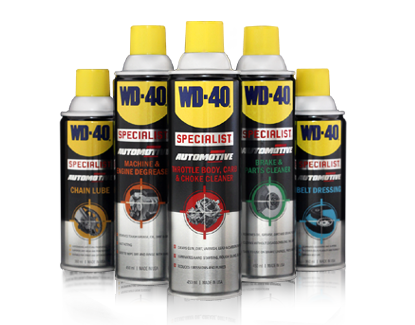 With WD-40® Specialist™ Automotive, we take your vehicle to the max and keep it running efficiently whole year round. To maximise carburetor performance, Throttle Body, Carb & Choke Cleaner safely removes the accumulation of carbon deposits, gum, varnish, lead and sludge around the area. The result: A completely smooth ride and the end of hard starting, rough idling and stalling. This also helps reduce fumes and emissions, giving your fuel system an improved performance. Cleaner for throttle body, carburetor and choke. To clean this area every 10,000 km of mileage. The powerful Machine & Engine Degreaser is the ideal solvent to clean dirt, tar, adhesives, oil and tough grease on engines and machineries. Its deep penetrating formula acts fast and to make cleaning even easier - it wipes off easily and can be rinsed with water. Cleaner for engine, stroke engine and industrial machinery. For engines to run cooler, last longer and stay in great shape. Use Brake & Parts Cleaner for fast and safe removal of brake fluid, grease and oil from brake linings, pads and drums. This is designed to make cleaning brake components effortless as you don't need to disassemble the brake unit. And, problems drivers everywhere dread - disc brake squeal and clutch slippage - can be eliminated by this non-staining, non-corrosive cleaner. 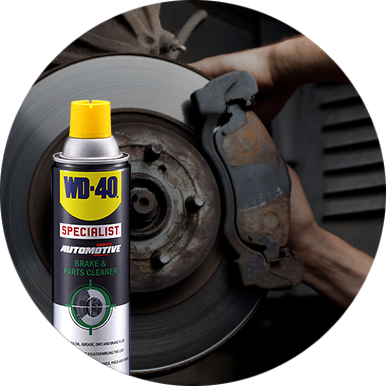 Cleaner for disc brakes, drum brakes and brake calipers. On brake units at regular maintenance interval. 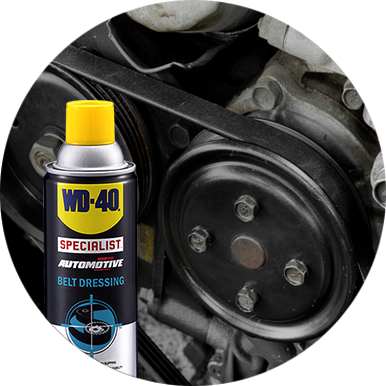 Optimising belt life is possible with Belt Dressing, a lubricant which can be used on all belt types. It gives belts better grip and traction by penetrating the cord fibres to restore pliability and flexibility. Also, this helps solve a common headache for drivers - eliminating squeaking and slipping. Lubricant for V, flat and cogged belts. Every maintenance interval before belt starts to squeak. 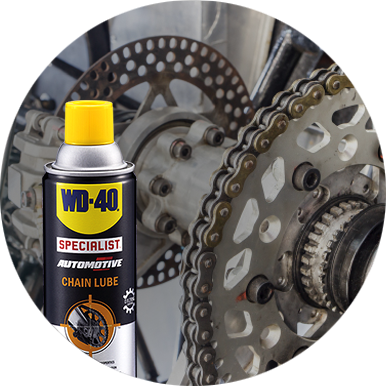 The high performance Chain Lube provides long-lasting lubrication and protection with its superior anti-wear and penetration feature. It gives chains extremely tacky and anti-fling properties, and can be used for all types of motorcycles - street, off-road, kart and all-terrain. Lubricant for chain, drivetrain, and O, X and Z rings. For best result, use before every ride.